Again with rare machines in Argentina. 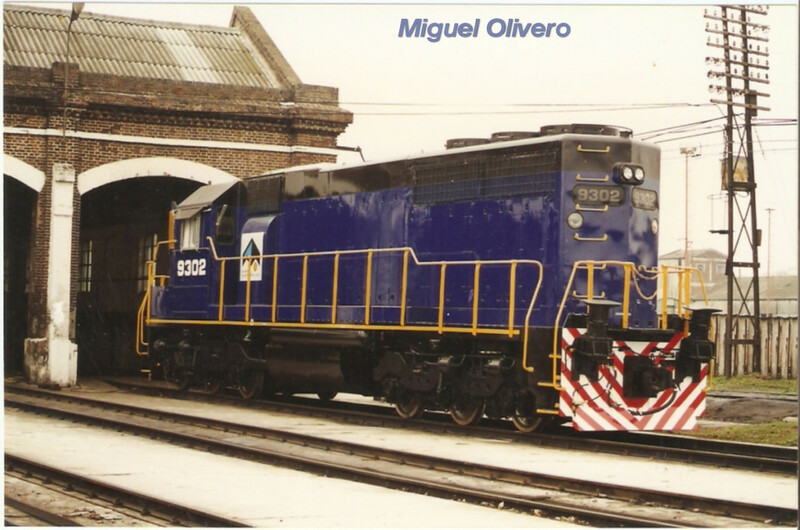 This time I bring four GP40 information that came to Argentina in the 90s. And not just say it's all a peculiarity have these locomotives in Argentina, since here the crazy are not so great (except RSD16 Alco model, very similar to RSD12 but lighter) and heavy. # 9301 32 881 serial number (2-1967). # 9301 36 166 serial number (2-1970). 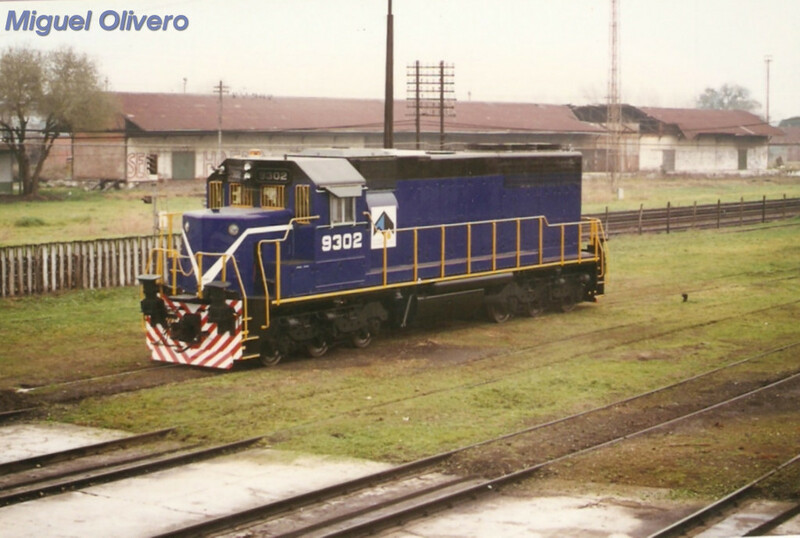 Before leaving for Argentina, these locomotives went through Juniata workshops, when they were still in Conrail (1997), there they repaired the diesel engine and generator, electrical and other details, and also deprived of the dynamic brake. Back in Argentina, the work was done by MK Rail and design begins to change a bit. Here arrived without their bogies and are placed some new GHC (converted to A1A), so that modiciarse had boguie center of the frame. They relocated the headlights were fitted with a fuel tank smaller, bath removed them, they put a new Q-tron electric board brought U.S. and a new checkpoint moderno.Se also brought from U.S. 16 remanufactured GE traction motors. The biggest problem was alivianarla reconstruction, and the maximum anyone was left in a axle 20tn. They held the power of 3000 HP and the outer dimensions of length, width and height intact. Well, I hope you liked my little contribution and you can serve someone this information. Were these converted to broad or narrow gauge, too? Trucks were placed for 1676 mm gauge.